Finding an auto part for vehicles has become a nightmare due to the tedious process and the long duration one takes to get the exact spare that fits their vehicles. Finding new parts for classical vehicles has proved challenging. Therefore, Fetch Auto Parts Company has been specifically made to help you get that important part cheaply and in a timely manner. 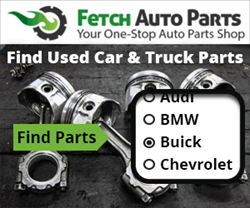 Fetch Auto Parts will launch its website (http://www.fetchautoparts.com) where the auto parts buyers will meet the vendors in a more simplified and inexpensive manner. Fetch Auto Parts is an organization that helps people find a used auto part from a automotive dealer, person, or company within the shortest time possible (24 hours or less) to allow the car repair and put your automotive on track. Fetch Auto Parts provides an online parts locating service through its website whereby the buyer’s request with the specifications of the required auto part is sent to Junkyards and Salvage yards nationwide within a minute of application. All the vendors view the request presented by the customer and if the specifications match the products that the vendors have, the vendors connect with the buyer to initiate transactions. Fetch Auto Parts connects the buyer, who could be a repair shop, body shop, or even an individual with the seller. Additionally, Fetch Auto Parts connects the buyer with a used parts dealer thus ensuring that the buyer finds exactly what he desires at the nearest location with the least expenses. Once the buyer has been connected with a seller, the two will interact through emails or phone calls and they will make agreements that would allow the shipping of the desired auto part upon payments or based on their terms of agreement. The buyer is at liberty to buy from a vendor of his/her choice and is under no obligation to buy from any specific vendor. 1.It is inexpensive because one only needs to register on the website and would be free to log in anytime and carry out searches from any location. 2.The auto parts search is fast thus no time wastage due to movements while searching for the parts. 3.Results are guaranteed because the online platform is linked to both Junkyards and Salvage Yards, two of the most reliable auto parts dealers in addition to a large array of individual used part dealers. 4.It enables one to get his/ her desired product, depending on the funds available. Fetch Auto Parts connects buyer with used parts dealers where buyer will get desired product at a negotiated price. 5.The search results from the online parts locating service provides numerous options because the buyer’s request is seen by several vendors who will contact him/her thus enabling him/her to choose from the options after considering the prices and other factors thus providing value for money. The website launch will be a milestone in the car repair industry. Fetch Auto Parts guarantees to find auto part within 24 hours or less. The website will provide a platform that will hasten the whole procedure of acquiring a spare and thus making Fetch Auto Parts the leading auto parts finding site.